Reference art is an image specifically created to communicate what you want your fursuit to look like when completed. Reference are is required when you commission Corgilope as it will ensure that we are visualizing the same concept. I can work from a two or three view reference sheet from any artist. As long as all markings are clearly shown I will be able to translate your character into my style of fursuit. If you have a specific idea in mind but don't have art to match CONTACT ME to commission a reference sheet. I will work closely with you to translate your character into a fursuit perfect design. Do you have a very vague idea for your fursuit or no idea at all? 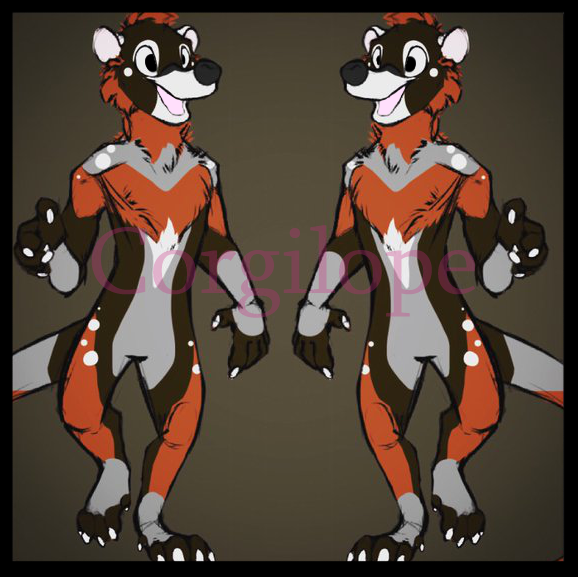 An Artist Designed fursuit is a unique opportunity to get a fursuit designed just for you by an artist experienced in fursuit design.